This column first appeared on Talk Media News. It is republished with permission. 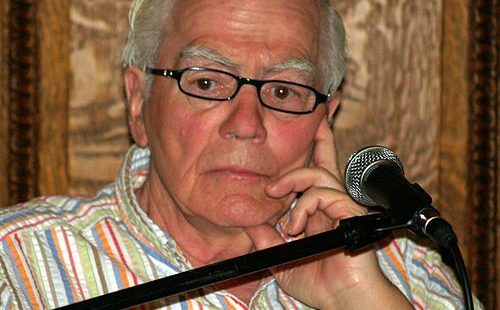 When Jimmy Breslin gets to heaven later today, the first thing he does is give God a real good earful about the crummy conditions He’s imposed on all those sentenced to hell. That’s what Breslin did for half a century as a newspaper columnist who changed the game for everyone who followed him. He didn’t sit in an isolated office pretending to understand the world below him. He walked the street corners and the police precincts and the housing projects and paid attention to people in misery ignored by those in power. Before Breslin, the big-name newspaper columnists were those such as Walter Lippmann and James Reston and Arthur Krock. They spoke to nobody below a secretary of state. Breslin had a line for that kind of columnist. They “sit in their offices and write term papers,” he said. Here’s where Breslin went. It’s 1965, in the midst of the Alabama civil rights marches, and Breslin’s there, writing about a racially segregated schoolhouse with no bathrooms and no heat beyond a potbellied stove. There are some who spend decades at a keyboard and never write a paragraph as important as that one. Don’t listen to the bigots when they talk about a separate-but-equal education, Breslin was saying half a century ago. Here’s what it’s really like for black children in the south trying to create a decent life for themselves. Big shot, this Trump, taking money from foolish old people. Always, looking out for the underdog, working his street-level sources, sifting through actual facts when others were playing to the easiest emotions of the moment. I discovered Breslin in February of 1964, one night in my college library, leafing through the pages of the old New York Herald Tribune. I was looking for Red Smith’s account of the first fight between Sonny Liston, the ex-con who had become the heavyweight champion, and a young challenger still going by the name of Cassius Clay. I still have that column, since it changed my life. I was an 18-year old kid writing for my college newspaper. I wanted to be a newspaper columnist one day, but I didn’t want to interview secretaries of state. Breslin showed me I didn’t have to. He wrote about street characters who resembled people I knew from my old neighborhood. He wrote about cops and criminals and school kids and ballplayers. For me, finding Breslin was the start of a career writing newspaper columns in Baltimore for more than 30 years. Now Breslin’s gone, and so is a large portion of the newspaper world he inhabited. First the local TV outlets stole away people who had once relied on newspapers. But TV never paid attention to details the way newspapers did, not when they insisted on delivering 90-second stories with five-second sound bites. Today they’re lost if they don’t have a snowstorm to report, or a triple homicide. Now there are countless web sites across the map – but how many of them have actual street reporters scrounging around for facts instead of just echoing opinions found on some other web sites? The effect is one of empty mirrors gaping at each other. But Breslin was always critical of the newspaper business, too. I had a few drinks with him one night at the tail end of the Watergate era, when Woodward and Bernstein had just helped remove Richard Nixon from office and American newspapers still imagined they had a bright future. “I never had an easy day in the newspaper business,” Breslin said. We were sitting in a Baltimore hotel bar. Breslin sat there with his tie open, his shirt undone, his hair all over the place. “It’s murder,” he said. “You get short-sighted editors who want everybody to write the same way, and you wind up having to scream and abuse people and search for someone who can think and read. Today we had a different kind of investigation beginning to play out on our TV sets. Trump and Obama, Trump and the Russians and the hacking of Hillary Clinton. It’s easy for TV – up to a point. They put their cameras in a Capitol Hill hearing room and aim them in the right direction. It’s up to actual reporters to go beyond the hearing room, to work their sources, to get past the public statements. That’s where Jimmy Breslin was at his best. That, and putting it all into language that made you want to read the next paragraph, and the one after that, all the way to the finish.